This course is perfect for anyone who wants to take the ITIL Foundation exam, whether they be first-time ITIL learners or experienced IT professionals. Real-world scenarios that describe what you've learned in the context of service solutions. These include thought-provoking questions to challenge your thinking and understanding. A Real-World Guide to ITIL Skills. Key information and real-world examples organized around the actual day-to-day tasks and challenges you'll face in the field of IT Service Management. 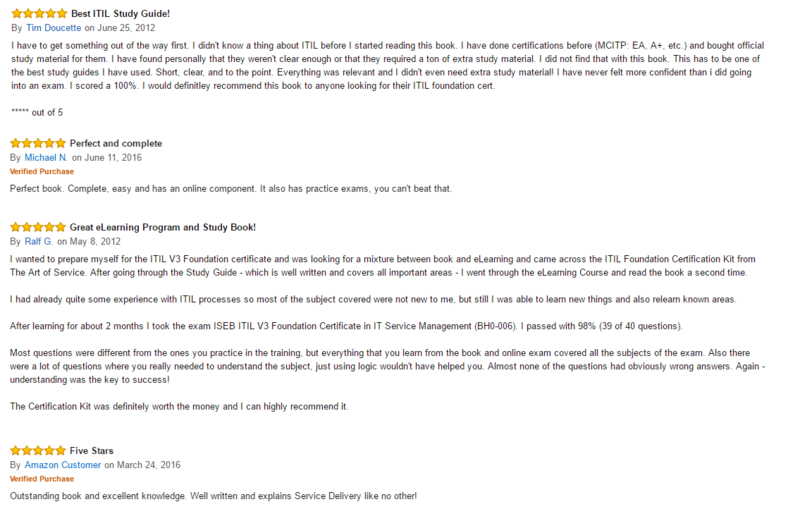 Ability to assess what you've learned with challenging ITIL Foundation exam style questions. Presentations that you can view and replay as many times as required, facilitated by certified ITIL trainers who explain each of the topics and concepts of ITIL. Materials developed on the specific syllabus and exam criteria – so that you can be confident in achieving exam success on your first attempt. The Topics covered to understand the basic terms, concepts and relationships between the ITIL processes and functions. There are no pre-requisites for the Foundation program but a basic IT literacy and knowledge of IT services is desirable. Candidates must supply identification confirmation at the time of course registration as this is a pre-requisite of the governing body AXELOS. As we are an accredited training organisation you can be confident you are receiving the most up to date content on the market. The recommended minimum contact hours for the eLearning course is 18 but the benefit of eLearning is that you can move at a pace that best suits you. Our different access options allow you to tailor the learning experience to your learning needs. The program combines short presentations supported by accredited trainer audio. There are also quizzes and exercises (marking scheme provided) to ensure learners are testing their knowledge and competency to enhance understanding of key concepts. Revision questions, study book, and a mock examination help to prepare for the multiple-choice AXELOS® examination. Our blended form of delivery makes sure that every student is able to study in a way that suits and benefits them. It is recommended that students should complete at least 18 hours of personal study by reviewing the syllabus and the ITIL Foundation book in preparation for the examination. The exam is a closed book exam with forty (40) multiple choice questions. I have finished topic 1; but am concerned with the modules not reflecting complete after I've completed, and passed the quizzes. It may not have any impact on my ability to complete my final certification; but for the sake of record-keeping, it's not been user friendly. Also, this eLearning program does not follow the ITIL Foundation Complete Certification Kit 4th Edition book; so there was some confusion when trying to follow along. This course is excellent for professionals who received a Version 2 Foundation and require to update prior to any immediate ITIL courses. I took the course and took the exam passing with an 88% at my own pace. Recommend this affordable course to any IT professional.